EPDM (ethylene propylene diene monomer) is the most popular material for both new and reroof low-slope roofing applications because of its durability, design versatility and easy installation. Firestone EPDM Roofing Systems are based on a high-performance synthetic rubber compound that provides outstanding weathering characteristics in climates worldwide. Firestone RubberGard EPDM has dominated the single-ply roofing market since its introduction in 1980, through its proven performance, durability and flexibility over a wide range of building types. Commercial roofing has been a success by RubberGard by building upon a heritage of innovation in rubber polymer technology for the rubber compounding and tire industries. EPDM, the versatile membrane, offers a variety of installation options including fully adhered, ballasted or mechanically attached all of which deliver superior long-term weathering ability and exhibit exceptional resistance to uplifts caused by wind. Thermoplastic single-ply roofing membranes are among the fastest growing commercial roofing products due to their many performance and installation advantages. As demand increases for heat-reflective and energy efficient roofing systems, thermoplastic polyolefin (TPO) single-ply roofing membranes continue to provide exceptional resistance to ultraviolet, ozone and chemical exposure. 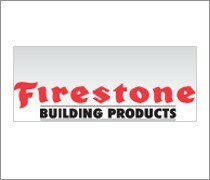 Firestone UltraPly TPO is a flexible, hot-air welded thermoplastic polyolefin roofing membrane available in both 8″ and 10″ widths. Suitable for a variety of low slope applications, UltraPly TPO features a white, tan or gray reflective surface that can help reduce a building’s cooling requirements.